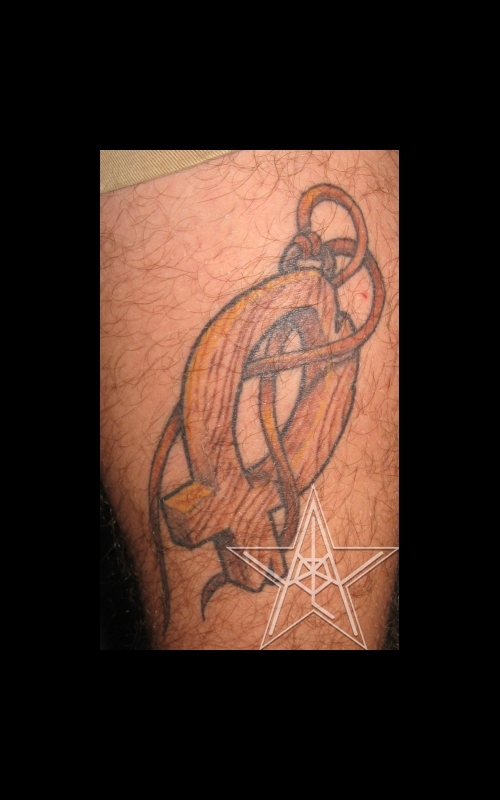 Wooden Icthys Color Christian tattoo of a wooden Icthys with a leather strap. 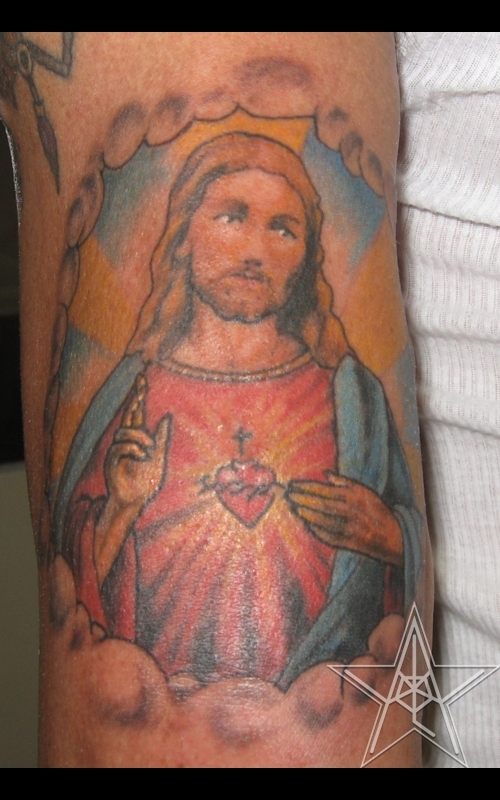 Et Fili Color Christian tattoo of Catholic styled Jesus Christ. 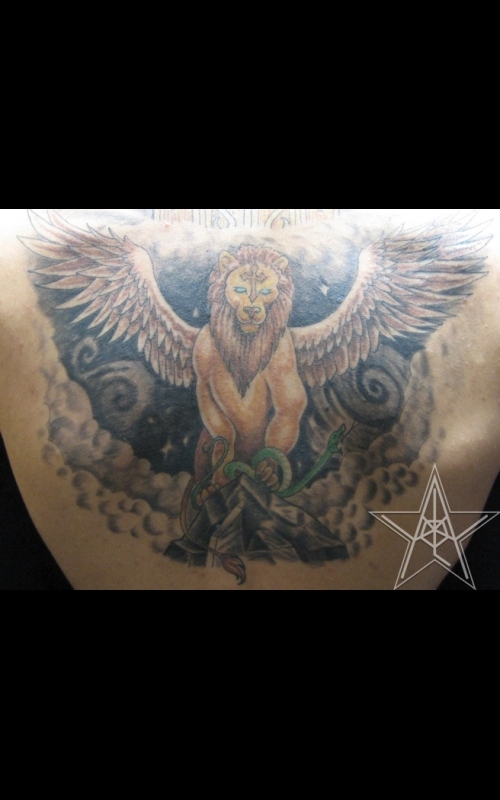 King of Kings Color Christian tattoo of the Lion of Judah. Within Us All. Black and grey Christian tattoo representing duality. 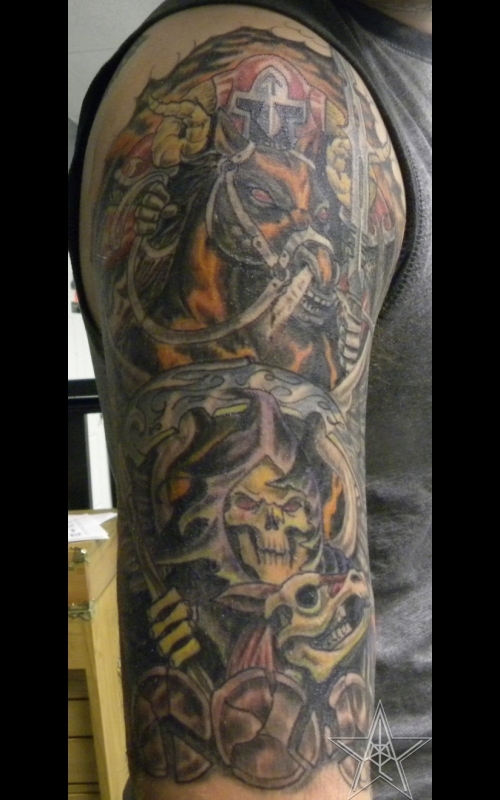 Four Horsemen of the Apocalypse Color Christian tattoo of Death and War. 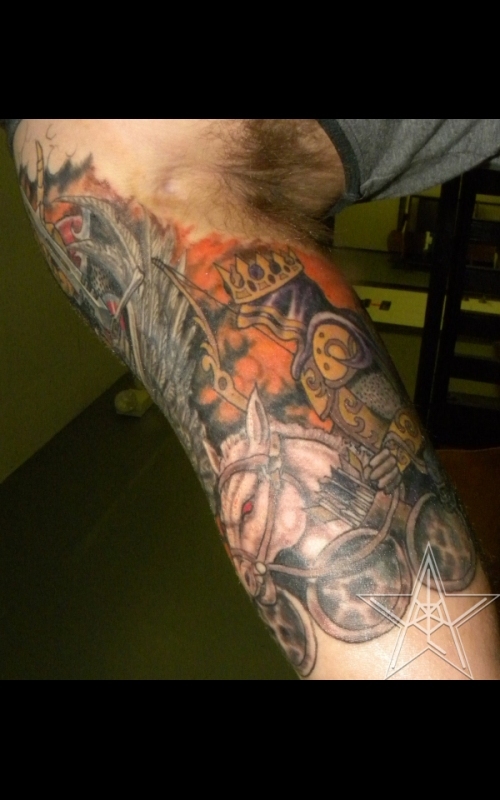 Four Horsemen of the Apocalypse II Color Christian tattoo of Famine. 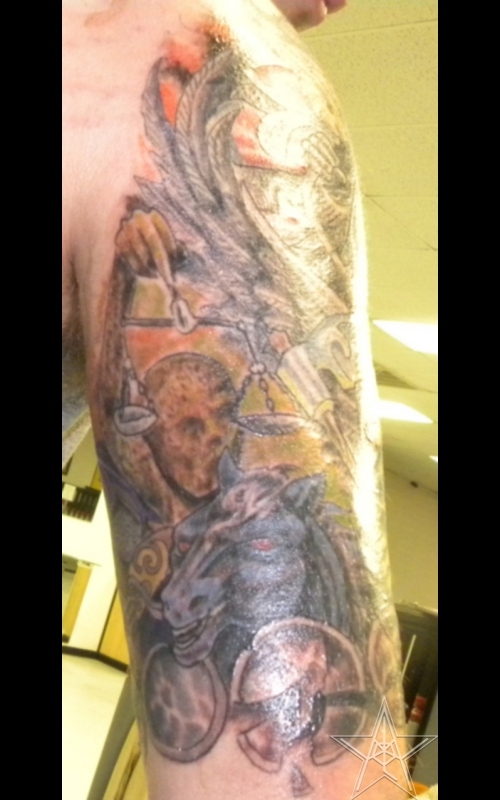 Four Horsemen of the Apocalypse III Color Christian tattoo of Strife. 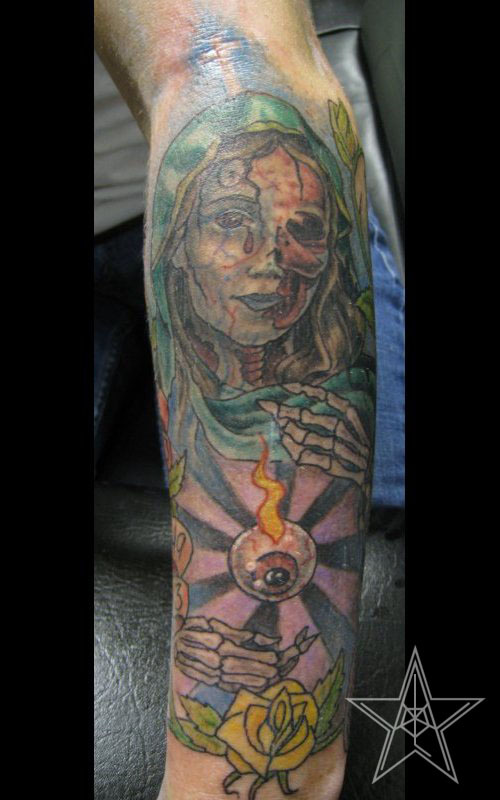 Zombie Mary Undead Mother Mary tattoo. 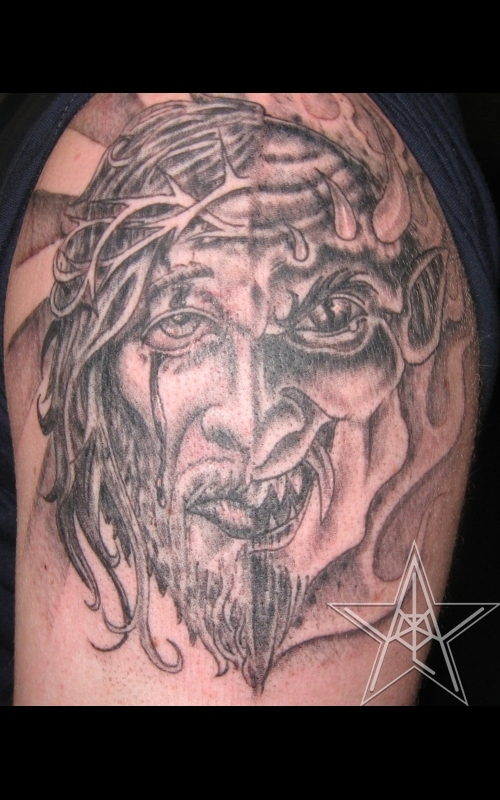 Christian-Obviously tattoos relating to the followers of Christ.